I painted new and improved front arcs on 90 models. 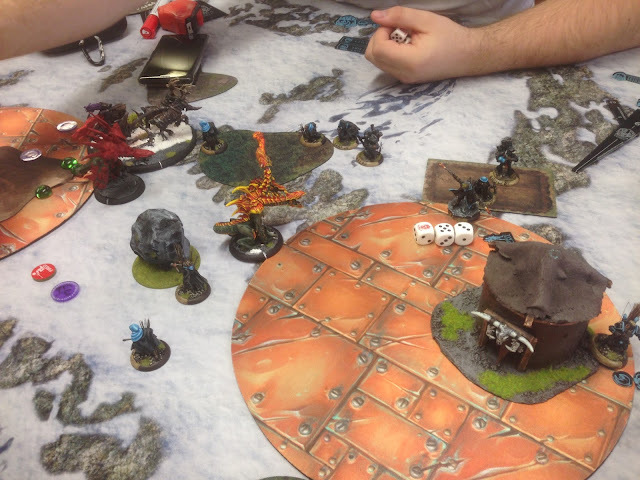 Meanwhile, a new WARMACHINE player plays his third game and it's 50 points Lylyth3 vs Caine2. 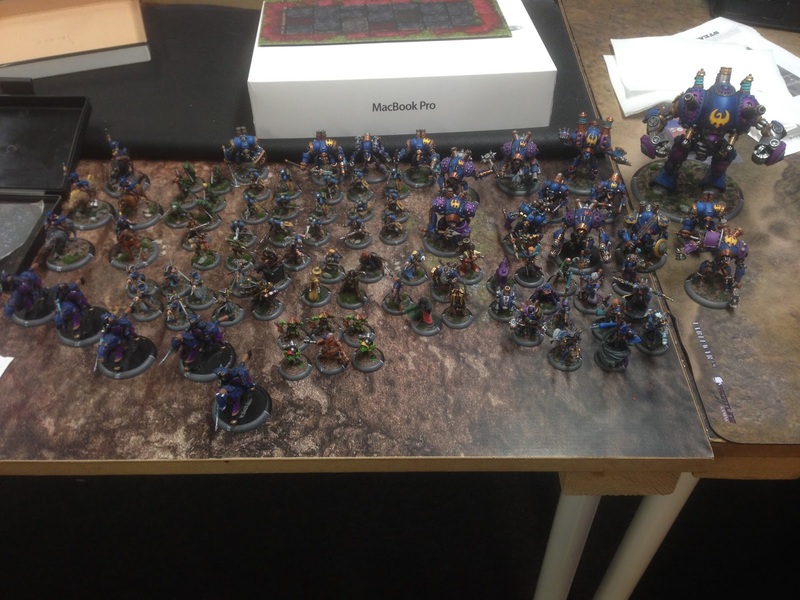 As Jarle says: "Vi leker ikke WARMACHINE". The assassination run is real!